If you were born in the USA your supposed to pay for the illegals while you live paycheck to paycheck to make ends meet. This is the Democratic’s Way of thinking. We can all agree that (mostly Muslim) immigrants goal all along is a total destruction of American culture and dignity. That’s why the US needs to use some policies very soon because it has gotten out of hand. Today we found a story about Mohamed and Denise Cros-Toure, they imported a 5-year-old girl from Guinea and enslaved her for 16 years. The slave girl was forced to cook, clean, do the laundry, perform yard work and care for their children. Mohamed is the son of Guinea’s first president. Mohamed is a supporter of Marxist Hugo Chavez and his Socialist revolution. 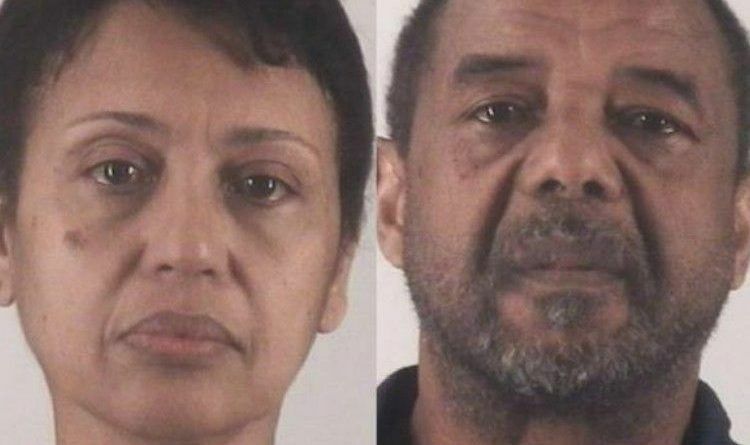 US authorities have arrested the son of a former president of the West African country of Guinea and his wife for allegedly enslaving a countrywoman in their Texas home. …According to an arrest affidavit, the defendants arranged for the victim who did not speak English to travel alone from her village in the Republic of Guinea to Texas in 2000. “The victim’s Guinean passport indicated that she was five years old at the time,” a statement published on the Department of Justice website stated. And for 16 years, until the victim escaped in August 2016, the Toures allegedly forced her to work in their home without pay. She was forced to cook, clean, do the laundry, perform yard work and care for their children, the affidavit said. I can say one thing can we please stop bringing these people here?!! We need legal immigrants that love our country and respect our laws!